We arrived at the Museum of the Rockies shortly after it opened Saturday morning and had it to ourselves for a while. We entered to the Miasaura exhibit, a combination of fossils and reconstructions. 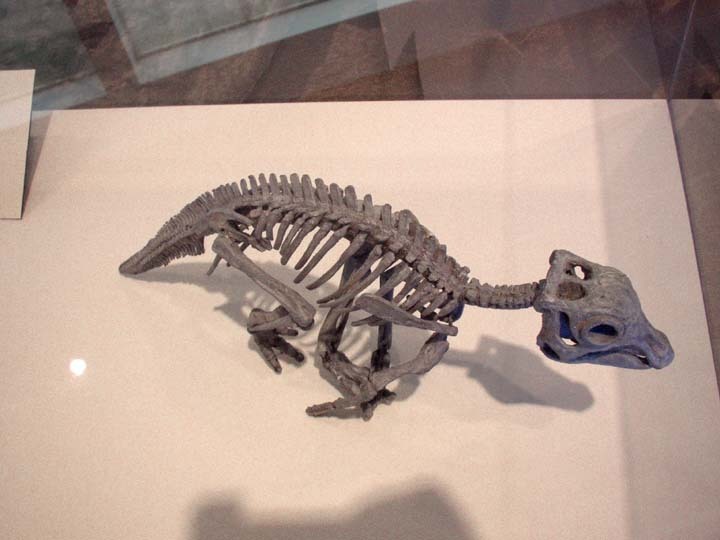 Jack Horner made his name in palentology by his discovery of a nesting site of maybe 10,000 Miasaura, with evidence supporting an interpretation of nurturing behavior of Miasaur parents. 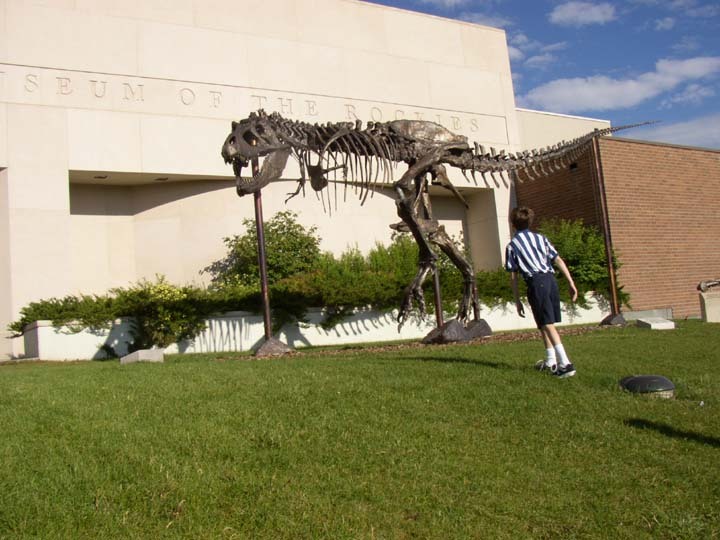 The Museum of the Rockies is the home of fossils of 11 of the 23 T. Rex specimens discovered to date. This replica, named "Big Mike", is cast in iron and named in memory of Dr. Michael P. Malone, President of Montana State University from 1991 - 1999. 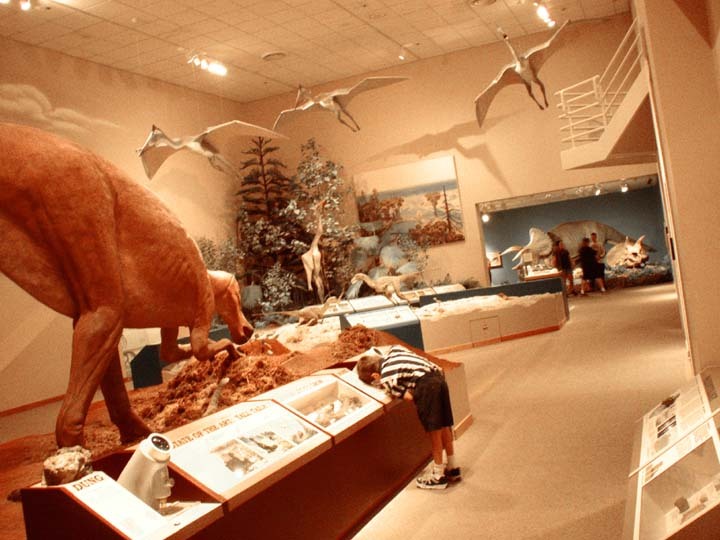 This display with Tricerotops and T. Rex replicas was to the left of the Miasaura hall. 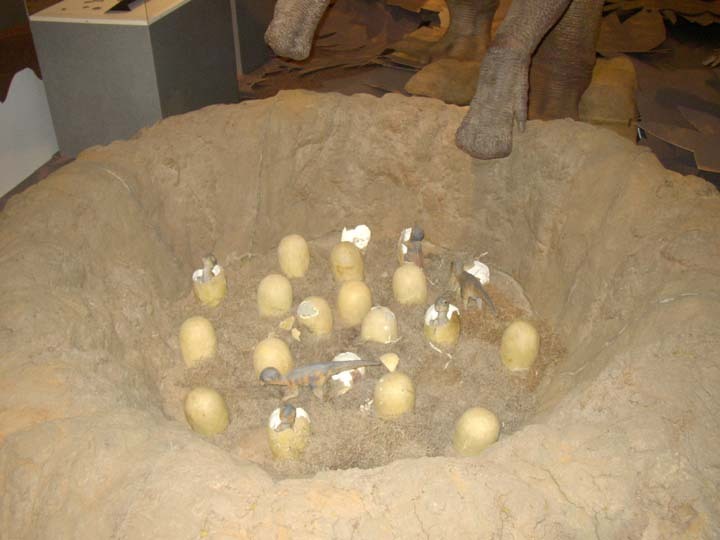 This is a representation of a Miasaura nest, with hatchlings and an adult Miasaur tending to the chicks. 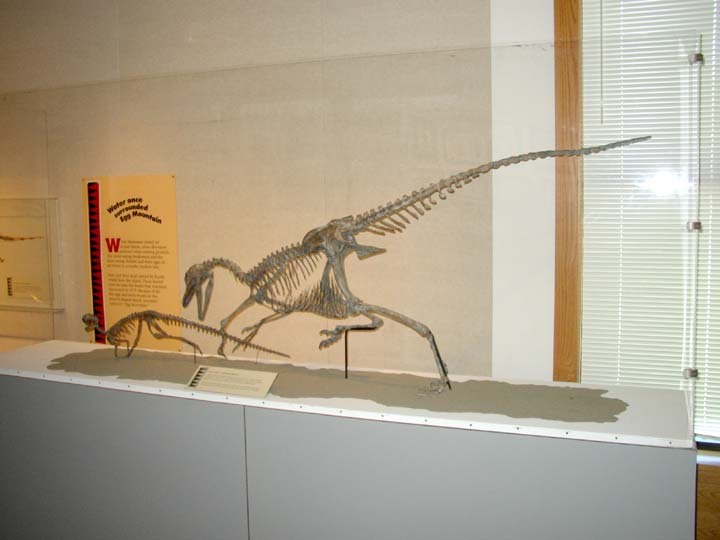 A Troodon, thought to be one of the more intelligent of dinosaurs, is shown here hunting an Orodromeus. 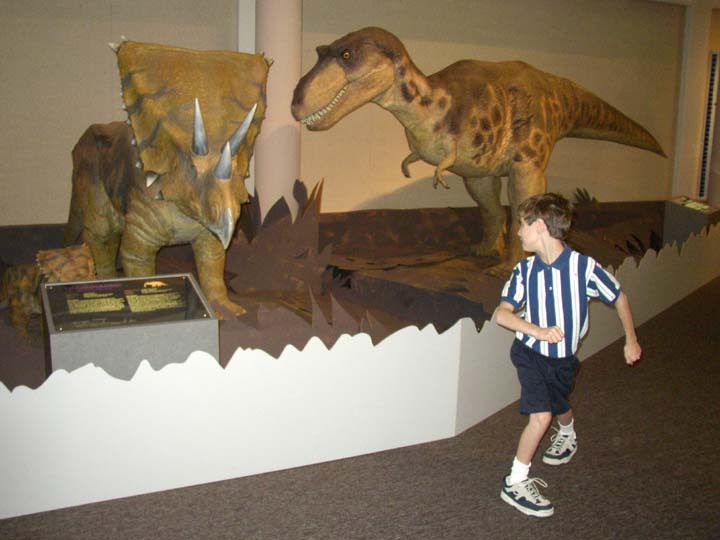 Another dinosaur display room. Thomas is viewing a microscope display showing slides of bone sections of warm-bodied and cold-bodied animals compared with several dinosaurs.